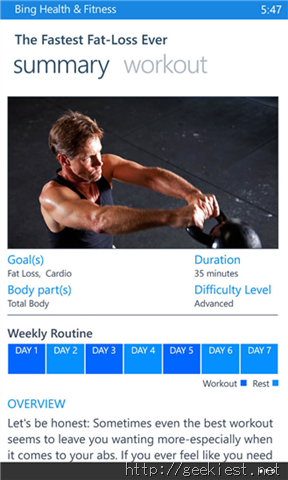 Microsoft has released a beta version for the Bing Health and Fitness app for Windows Phone 8. Apps like these are becoming popular, and are available on many platforms. For example, Samsung have their own S-Health app on their flagship Android devices. The Bing Health & Fitness app helps you stay on top of health and fitness trends and provides the tools you need to support a healthy lifestyle. 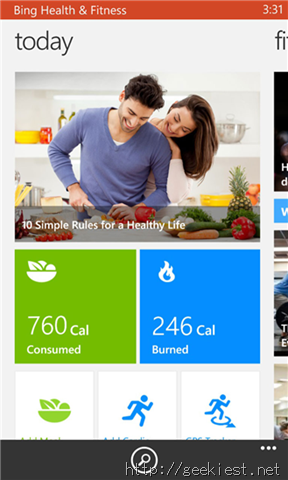 Designed for Windows Phone, the Health & Fitness app brings together great fitness, nutrition and health content, along with trackers, tools and other features. 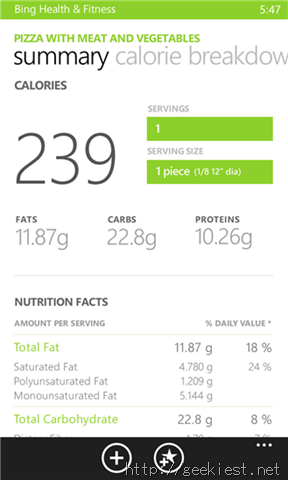 Set your daily calorie goal, record what you eat and get nutritional information for over 300,000 foods. Choose from hundreds of workouts and exercises with step-by-step instructions, photos and video. 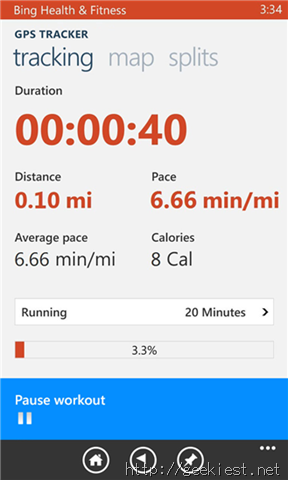 Use the GPS tracker to record your time, distance, pace and calories burned while you walk, run, bike and do other activities. Enter symptoms to get information on possible health conditions with the Interactive Symptom Checker. Keep your tracker data synced across your Windows 8 devices. So you can use the app not only to monitor your diet, but also time your walk, run, biking sessions, and how far you have travelled. 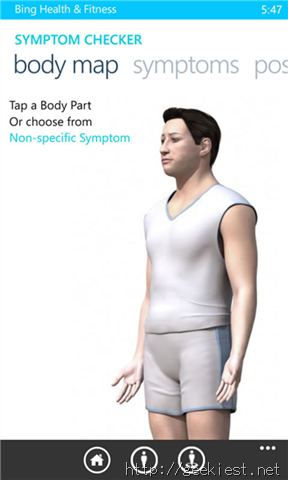 The Interactive Symptom Checker could be a useful tool, but of course, one cannot expect to use an app during medical emergencies. 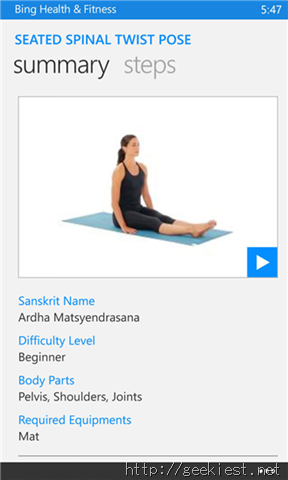 The app has instructions for various workouts, and yoga poses too. You can download the app from the Windows Phone Store for Free. Note: You need a Windows Phone 8 device to run this application.